NEW YORK--(BUSINESS WIRE)--The National Hemophilia Foundation (NHF) and Impact Education, LLC (IMPACT) are pleased to announce the Comprehensive Care Sustainability Collaborative (CCSC), an ongoing quality improvement and cost-management initiative driven by the insights of a prominent group of hemophilia treatment center (HTC) directors, clinicians, and administrators working in conjunction with payer/managed care medical and pharmacy directors from a mix of large national and regional health plans. 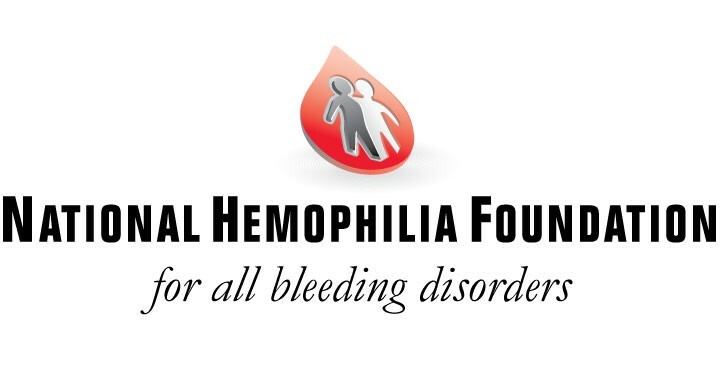 The CCSC’s aim is to develop a framework for pilot programs between payers and HTCs to be replicated across the United States to facilitate cost-effective hemophilia management integrating the HTC comprehensive care model. NEW YORK--(BUSINESS WIRE)--The National Hemophilia Foundation (NHF) and Impact Education, LLC (IE) are pleased to announce the third annual pre-conference symposium specifically designed for specialty pharmacists, home health pharmacists, health plan pharmacists, managed Medicaid pharmacists, medical directors, and other healthcare professionals with an interest in the management of patients with hemophilia. This free, CME/CPE-certified activity is scheduled to take place on August 13, 2015 from 1:45 PM – 5:00 PM at the Gaylord Texan Resort & Convention Center Hotel in Dallas, Texas, in conjunction with NHF’s 67th Annual Meeting. PHILADELPHIA--(BUSINESS WIRE)--Impact Education, LLC (IE), a leader in continuing education (CE) for managed care professionals, is pleased to announce the launch of www.ManagedCareReviewBoard.com, a website devoted to delivering CE activities that focus on managed care and payer related topics. The first curriculum of its kind, The Managed Care Review BoardTM is specifically designed and developed for managed care professionals and offers education across a wide range of therapeutic areas. PHILADELPHIA--(BUSINESS WIRE)-- Impact Education, LLC (IE), a leader in continuing education (CE) for managed care professionals, is pleased to announce the launch of the audience generation platform, MC Impact: Reaching Managed Care. MC Impact has an exclusive database consisting of over 12,000 qualified managed care and other payer professionals derived from more than 130 certified activities that target important decision-makers, including Medical Directors, Pharmacy Directors, Specialty Pharmacists, and Clinical Pharmacists. MC Impact offers targeted hosting and distribution opportunities to CE providers who want to reach this unique audience and improve participation rates for their activities. NEW YORK--(BUSINESS WIRE)-- The National Hemophilia Foundation (NHF) and Impact Education, LLC (IE) are pleased to announce the second annual pre-conference symposium specifically designed for specialty pharmacists, home health pharmacists, health plan pharmacists, managed Medicaid pharmacists, medical directors and other healthcare professionals with an interest in the management of patients with hemophilia. This free, CME/CPE-certified activity is scheduled to take place on September 18, 2014 from 12:00 PM - 5:00 PM at the Washington Marriott Wardman Park Hotel in Washington, DC, in conjunction with NHF's 66th Annual Meeting. NEW YORK--(BUSINESS WIRE)-- The National Hemophilia Foundation (NHF) and Impact Education, LLC (IE) are pleased to announce the inaugural pre-conference symposium specifically designed for specialty pharmacists, home health pharmacists, health plan pharmacists, managed Medicaid pharmacists, medical directors and other healthcare professionals with an interest in the management of patients with hemophilia. This free, CME/CPE-certified activity is scheduled to take place on October 3, 2013 from 2:30 PM - 5:00 PM at the Anaheim Convention Center in Anaheim, California, in conjunction with NHF's 65th Annual Meeting, "United in Progress." PHILADELPHIA--(BUSINESS WIRE)-- Continuing medical and pharmacy education experts Impact Education, LLC (IE) and RealCME, Inc. (RealCME) have joined forces to deliver innovative and engaging continuing medical and pharmacy educational experiences (CME/CE) on an advanced technology platform that addresses the needs of health care professionals focused on areas of managed care and payer related topics. The first curriculum of its kind, The Managed Care Review BoardTM is specifically designed and developed for managed care professionals. PHILADELPHIA--(EON: Enhanced Online News)--The National Foundation for Celiac Awareness (NFCA) and Continuing Medical Education expert, Impact Education, LLC (IE), have joined forces to offer primary care providers the valuable education needed to support improvement in outcomes for patients with celiac disease. PHILADELPHIA--(EON: Enhanced Online News)--Continuing Medical Education expert, Impact Education, LLC, and the California Academy of Family Physicians (CAFP) have joined forces to offer health care providers meaningful motivational interviewing education to support improvement in patient outcomes.